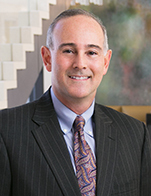 Bill Haft is a corporate finance lawyer and serves as head of Orrick's global Banking & Finance group. He regularly counsels clients in cross-border matters, including maritime, energy and infrastructure transactions. In the maritime sector, he advises on complex international shipping and offshore corporate and capital markets transactions and restructurings on behalf of a cross section of banks, arrangers, investors, owners and operators. Bill acted as lead counsel to Cayman Islands-based offshore drilling contractor Ocean Rig in its comprehensive financial restructuring, a unique transaction involving billions of dollars in restructured debt and enforcement by a U.S. Bankruptcy Court of schemes of arrangement sanctioned by the Grand Court of the Cayman Islands. Before joining Orrick, Bill practiced with two other international law firms in New York and Paris. He received a BA from Middlebury College, CEP from Sciences Po in Paris, and his JD from New York University School of Law.